Tottenham Hotspur made it five wins on the spin on Boxing Day as we welcomed Bournemouth to Wembley Stadium for our festive fixture and we also made it eleven goals in two matches with another incredibly solid showing. Taking a comfortable 5-0 victory over Eddie Howe’s side, goals on the day came from Christian Eriksen, a Son Heung-Min brace, Lucas Moura and Harry Kane but Kyle Walker-Peters also stood out as he helped himself to a hattrick of assists. 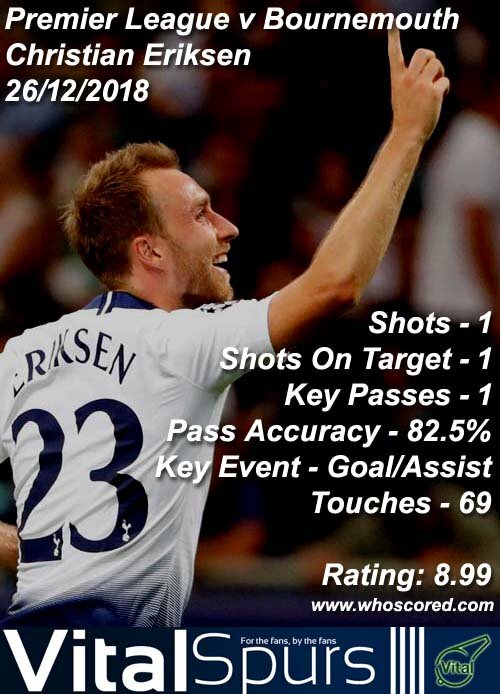 Statistics website Whoscored gave their star man rating to 26-year-old Eriksen following his goal and assist on the day as they scored him at 8.99. 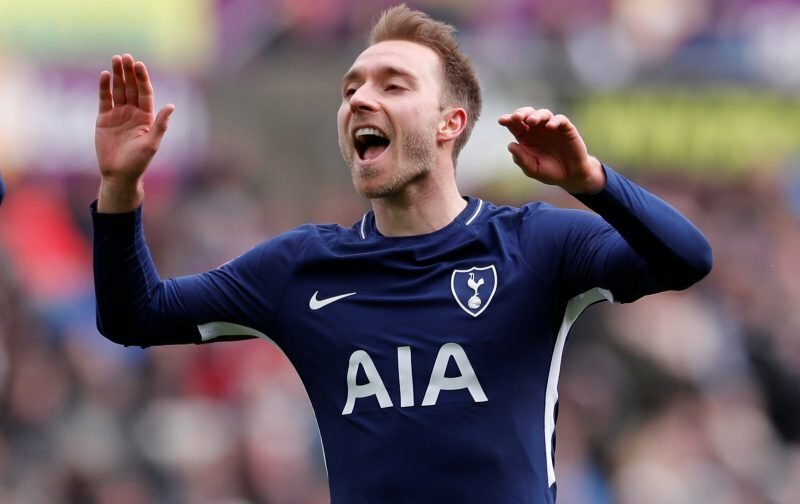 Completing the top five best performers following the 90 minutes were Kane (8.87), Lucas Moura (8.79), Sonny (8.77) and Hugo Lloris (8.03). 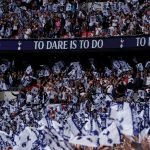 Juan Foyth, Walker-Peters, Danny Rose and Toby Alderweireld also received positive seven-plus scores for their efforts on the day but given how the goals and assists were shared around I actually think on the back of that one a number of fans would pick joint winners, rather than one star.